Since I discovered this hoe, it’s the only tool I turn to when I’m weeding on the plot. Sometimes called a shuffle hoe, this tool is regularly used in the Americas and on the continent. Thanks to its fantastic design, it is now gaining popularity in the UK and rightly so. 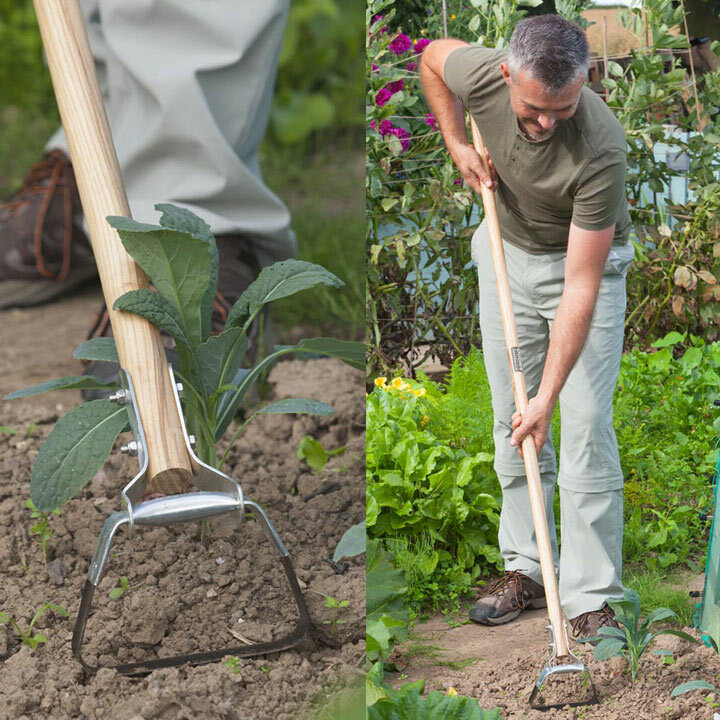 It’s oscillating head and sharp blades cut effortlessly through the surface on the push and pull stroke, making this the quickest and easiest to use hoe in the shed. Length 158cm (5¼"), width 18cm (7"), weight 1.18kg. 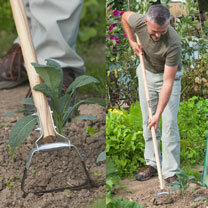 Hoe will be taut initially but will loosen very quickly after first usage.